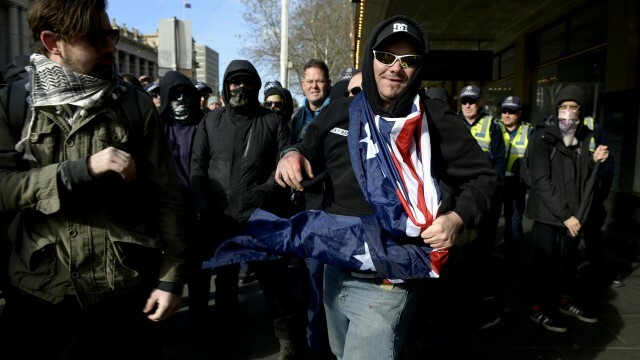 The Reclaim Australia rally protestors, amidst all the pushing, just wanted to get their point across. They're certainly not racists. Barack Obama continues the great presidential tradition of hiding the truth in matters of public interest; classifying the true fate of Jon Snow. After Greg Hunt’s political genius tore down hundreds of years of democratic assumptions this week, JKL looked on in awe. Gabi Grecko Edelsten and Holly Madison: Why the unbalanced perception? Reflecting on the continued abuse of Gabi Grecko Edelsten, we at TBS are calling for a unifying set of laws by which all gold-diggers should abide. Jordan King Lacroix: Word is that ASIO are tired of copping all the flack – can we just let them do their jobs? Jordan King Lacroix on drunk environmental researcher’s public disturbance: between fracking, climate change and El Niño, mankind’s end is clearly nigh. The government is ramping up its fight against boat people with immigration guards given super powers and dehumanised, Jordan King Lacroix reports. Jordan King Lacroix has the jump on us again, with the latest info being that scientists have found there is nothing left to laugh about. The year is 1994, and in an alternate universe where women rule supreme, Belinda Marsh interviews newly elected member for Warringah, one Tony Abbott.